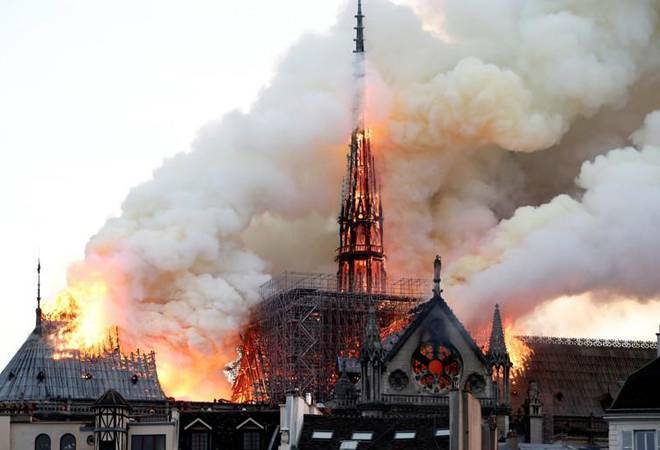 Notre-Dame fire: Flames that began in the early evening burst rapidly through the roof of the eight centuries-old cathedral and engulfed the spire, which toppled, quickly followed by the entire roof. It was ransacked by rioting Protestant Huguenots in the 16th century, pillaged again during the French Revolution of the 1790s and left in a state of semi-neglect. Hugo's 1831 work led to revived interest in the cathedral and a major - partly botched - restoration that began in 1844.